For the most part, we humans live a horizontal existence, rarely if ever having to climb anything to get where we need to go. And if we do need to climb there’s usually an elevator doing the majority of the work. But cats are different. Cats need to climb for a variety of reasons. Ok so you might be wondering why a cat tree might be so important to your feline friend. Well, the answer is rooted in their long history as tree dwelling creatures. Cats by nature used trees to escape threats, namely other bigger cats, or for establishing hierarchy among their fellow family members, with the more dominant members of the family sitting higher up the tree. Those same instincts are present today in house cats. They have the same needs and desires to use vertical space much the same way as their ancestors and wild counterparts. Of course, while today’s house cats don’t have to worry about predators inside their homes, they do sometimes feel threatened by other house pets such as dogs or other cats, not to mention small children. When they do feel threatened or maybe just scared by loud barking dog or screaming child, your cat will seek out the safety of a tall space, and that’s where a well placed cat tree comes in. Sometimes, life is just too hectic down on the ground. A cat tree gives your cat a place where he can climb up and feel safe and secure. It’s his natural instinct to seek out the safety of a tall place. Cat trees provide that sense of safety and well being. A cat tree that comes with a condo built into it also gives him a great place to hide should he feel the need. Another thing to remember is that cats love hiding spaces where they can’t be seen. How often have you seen your cat hiding in the most obscure out of the way places like a shoe box or behind a piece of furniture. A cat condo is perfect for giving him a place to hide that’s out of the way. So while your cat may seem like just any modern day house kitty, you need to keep in mind that he still has those wild instincts. 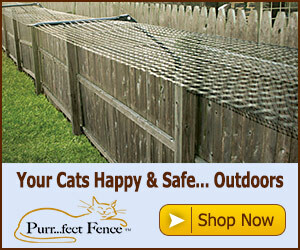 Cats need a vertical element in their life to give them a sense of safety and security. A cat tree with a built in condo will give him the vertical element he needs as well as a great place to hide. The best part of it all, you’ll enjoy watching your cat play with his new tree having just as much fun as when he was a kitten playing with his first ball of yarn. You can’t beat that.